From an early age, my favourite books were always the ones that explored relationships - with parents, with friends, with siblings, and definitely also with boyfriends and girlfriends. I started reading teenage romance well before I was a teenager. 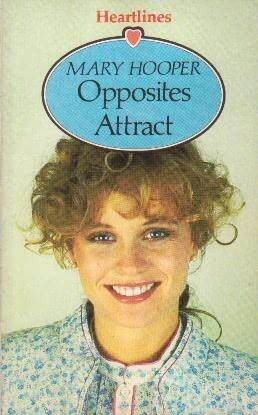 I devoured books in series such as Sweet Dreams and Sweet Valley High, and their brilliant British equivalents, such as Heartlines. 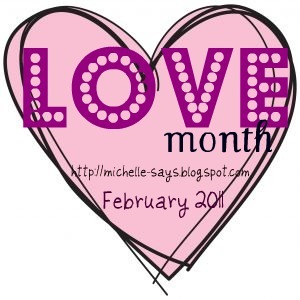 For Love Month on Fluttering Butterflies, I wanted to contribute a list of suggested romantic reads for younger readers, which I'm classing as about age 10 and up. When it comes to romantic fiction, whatever age group it's aimed at, the books that work best for me are the ones where the connection between the characters is very strong. If there's a hint of romance, I like feeling that the couple belong together and have a future, even if they're only 13 and they'll probably break up within half a school term. I've also tried to choose authors who write sweeter romance (i.e. nothing too raunchy). Kay Woodward - I haven't yet read Kay Woodward's teen books, though I really want to and I'm sure they qualify for inclusion here. 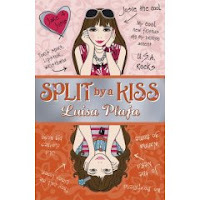 In the meantime, I can definitely recommend the Skate School series to younger romance fans. 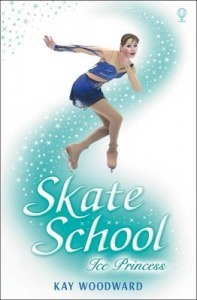 The love interest in these books is heart-meltingly perfect for skating star Frankie. 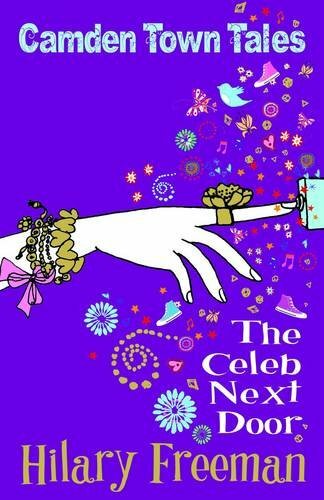 Hilary Freeman - Hilary Freeman's latest book, The Celeb Next Door, is the 'youngest' of her novels so far, and just as brilliant as her other, slightly 'older' books. The emphasis is on friendship but romantic issues are definitely addressed, and I'm really looking forward to seeing how this side of things develops as the series progresses. Chris Higgins - Books by Chris Higgins don't usually have romance at their core, but I've seen elements of realistic romance in all the ones I've read - which is most of them! 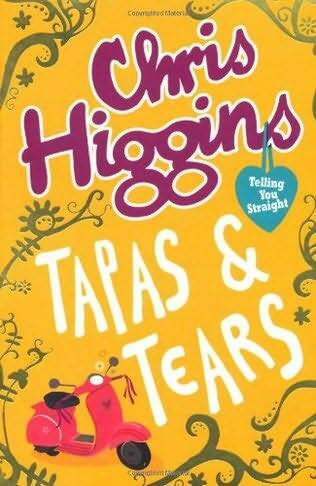 I think Tapas & Tears is probably the one I'd recommend first to romance fans. 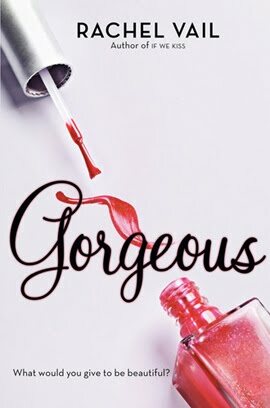 Karen McCombie - The Karen McCombie books I've read are the more romantically inclined ones, and I've loved every one of them. 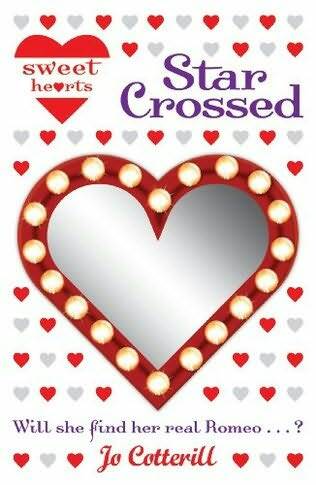 Highlights: The books featuring Shaunna, Molly and Jude - great friends and great romantic heroines, each in their own way. Jo Cotterill - The Sweet Hearts series is exactly that - sweet! It's perfect for younger fans of romance, with its focus on friendship, first love and a different hobby in each book. Helen Bailey - The characters in Helen Bailey's books are of the down-to-earth variety, sharply observed in her comedy style. There's no sugarcoating in these books, and yet the romance is extremely sweet. Highlights: The gradual way in which Electra Brown realises her true feelings for a certain boy. 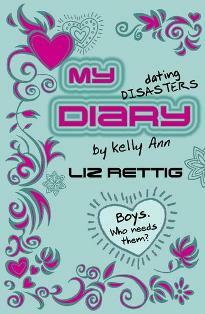 Liz Rettig - Another writer of down-to-earth romance. I challenge readers to find a more perfect romantic teen hero than the devoted, dependable, utterly normal and yet totally fanciable Chris from the Kelly-Ann diaries. If I'm carefully recommending books to very young romance fans, though, I should possibly suggest that the first two books, My Dating Disasters Diary and My Desperate Love Diary, might be the ones to focus on. 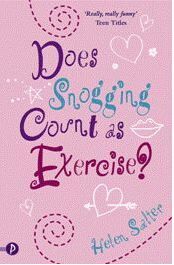 Helen Salter - The excellent Holly Stockwell trilogy starts with Does Snogging Count as Exercise? and it's very funny and realistic on the subject of young love. Highlight: The relationship charts that Holly draws in her school notebook, connecting her friends romantically. 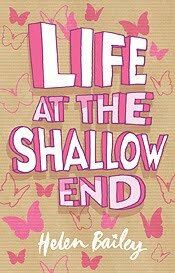 Rachel Vail - Most of American author Rachel Vail's books are aimed at younger teens or 'middle grade', and the way she captures the thrill of first love is amazing. I fell in love with Rachel Vail's writing years ago, while living in the US and reading the Friendship Ring series, and I've been importing her books ever since my return to Britain. I always find her characters lifelike and lovable. Her most recent series - Lucky, Gorgeous and Brilliant - is very highly recommended. Highlight: In Gorgeous, where Allison and Tyler flirt with each other on their mobiles while standing back-to-back in the same room. Young romance in a nutshell. Big thanks to Clover for inviting me to Fluttering Butterflies during Love Month! SO MANY excellent recommendations there! A huge thank you to Luisa Plaja for expanding my wishlist of books by a lot! Do check out Luisa's website and her amazing reviews over at Chicklish! Thank you so much for having me here, Clover, and for posting this! You know, I keep thinking of more books and authors that I want to include! These books would definitely suit my daughters. They are so into boys already! One of my girls adores Cath Cassidy, so I will definitely look out for more of these books. Ooh, I loved Karen McCombie's books when I was younger. Her Ally's World series was addictive. Fantastic post, Luisa! Luisa - Thank you again for these wonderful recommendations. 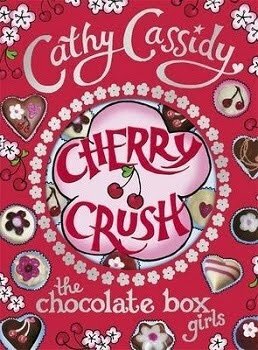 I think for me, I will definitely pick up Cherry Crush, just to know what happens in that cave! Some of the others I'd seend around but didn't know enough about them to pick them and I certainly shall now. Emma - Yes, it is a perfect for your school and for your eldest! Hurrah. Sophie - Isn't it great? I'm sure I've read something by Karen McCombie, only now I can't think what.. Many thanks ladies for this. It's going to be a very well used list.